Wayne, Ill. – Aug. 24, 2017 – The first divisions of the Markel/USEF Young & Developing Horse National Championships took to the ring on a beautiful day at the Lamplight Equestrian Center Thursday, Aug. 24. The 4-year-old division kicked off the opening day of the national championships and Alice Tarjan of Frenchtown, New Jersey, dominated the class placing first and second in the preliminary test. Tarjan rode her black Hanoverian mare, Serenade MF (Sir Donnerhall-Duet MF, Don Principe), bred by Maryanna Haymon, to the win with a score of 8.44. She followed close behind with her German-bred Oldenburg mare, Fairouz (Franziskus-Diva, Don Frederico) on a score of 8.06. Rounding out the top three was Kimberly Dougherty on her Oldenburg mare Celebration (Coer D’Amour-Rhythm-N-Blues, Rosenthal) with a 7.99. The judges awarded Serenade MF high marks for her expressive, uphill trot, ground-covering walk and active canter. Their general impression was a positive one as they recognized the mare’s trainable qualities and forward gaits. Tarjan’s other mount, Fairouz, was rewarded for her light-footed, active trot, which the judges believed to be the main highlight. Her clear, rhythmic walk, as well as overall rideability and obedience, earned her high marks to slide into second place. Alyssa Doverspike and her Hanoverian gelding, Darius 555 (Don Darius-Barcelona, Boss) made the three-day trip from Wildomar, California, well worth it after winning Thursday’s 5-year-old preliminary test with a 7.76. Doverspike is a full time groom for her trainers David Wightman and Kathleen Raine of Adventure Farms and she attributes her success to knowing Darius’ personality inside and out as she is very hands-on in his daily care. The pair earned the highest mark of 8.8 for their walk from the judges who were pleased with his clear rhythm and shoulder freedom. Angela Jackson of Henderson, Kentucky, and Craig Stanley of Madera, California, tied for second place in the 5-year-old preliminary test with a score of 7.72. Jackson rode Julie Cook’s Hanoverian gelding Sandeman (Sir Donnerhall I-Flora, Florencio I). 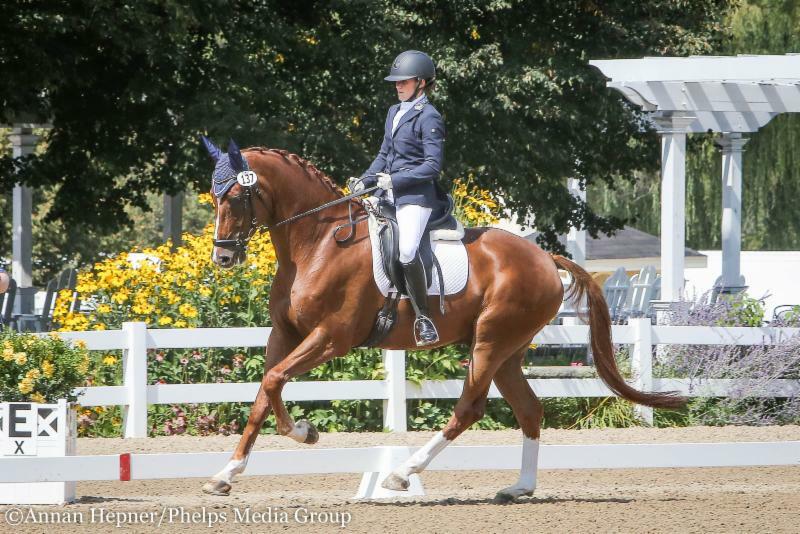 Stanley returned to Lamplight Equestrian Center on his homebred KWPN gelding Habanero CWS (Idocus-Caliente DG, OO Seven) as the pair won the 4-Year-Old Young Horse National Championship in 2016. During the Developing Prix St. Georges division, Carly Taylor-Smith saved the best for last and rode Nikki Taylor-Smith’s 7-year-old Oldenburg gelding Rosalut NHF (Rosenthal-Legacy, Salut) to win with a 70.439 percent. The pair has had success throughout their young horse career as they won the 4-Year-Old Young Horse National Championship in 2014 and the 5-Year-Old Young Horse National Championship in 2015. Nora Batchelder of Williston, Florida, earned a 69.298 percent and placed second on her 8-year-old Hanoverian mare Fifi MLW (Fidertanz-Wolkenstanza MLW, Wolkentanz I). Endel Ots rounded out the top three aboard Max Ot’s 7-year-old Hanoverian gelding, Lucky Strike (Lord Laurie-Heidi, His Highness) with a score of 68.597 percent. 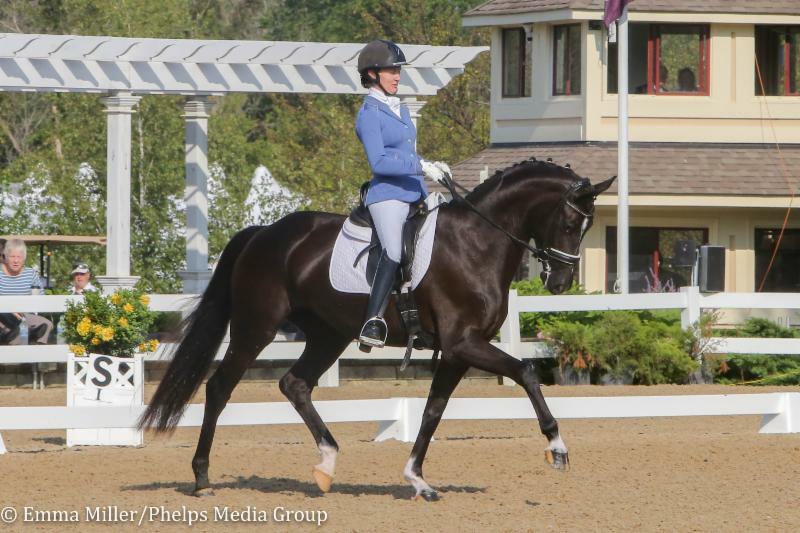 Running alongside the Markel/USEF Young and Developing Horse National Championships are the USEF Dressage Seat Medal Finals as well as youth divisions from the U.S. Dressage Festival of Champions. The horse inspection for the Festival of Champions was held Thursday evening at Lamplight Equestrian Center, and it was clear sailing for all entrants, who will go on to compete for top honors over the next several days. Junior Rider Allison Nemeth’s 13-year-old Hanoverian gelding Dafoe was held for re-inspection but passed. 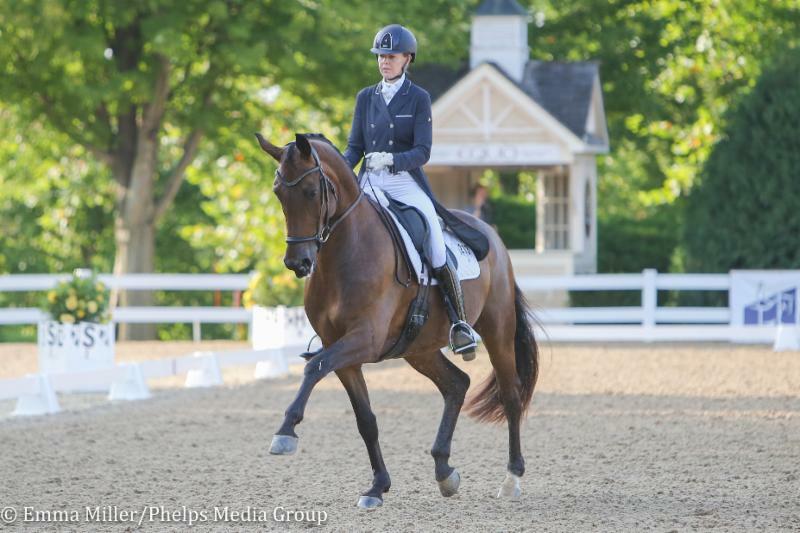 Riders vying for the AGCO/USEF Junior Dressage National Championship and the USEF Children National Championship will all have their first tests Friday. 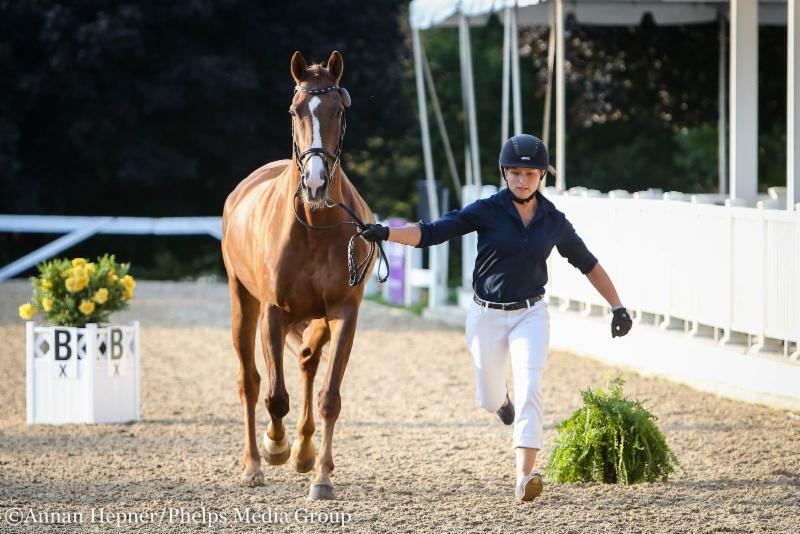 The USEF Pony Rider Dressage National Championship and the AGCO/USEF Young Rider Dressage National Championship will head down centerline for the first time on Saturday.